It must be an adventure tour for travelers to wander on the Tibet Plateau, drive along the Qingzang Railway, and explore the famous places in Tibet. But for kids, it is an amazing trip which can enjoy the snow of the high mountains, eat a lot of delicious food in local restaurants and take some beautiful photos of nature. There are two key ways for children to know about the world. The one is traveling, and the other is reading. 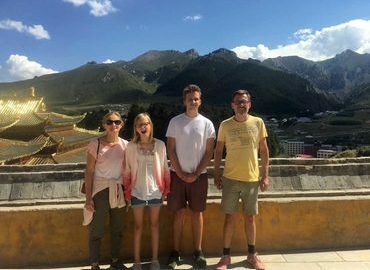 Family Tibet tour with kids is not a fantastic experience, but an elaborate plan for the family. During this trip, parents have to pay more attention to kids’ food, accommodation, and vehicles. What’s more, parents should be aware of the age of their children when they plan to Tibet. 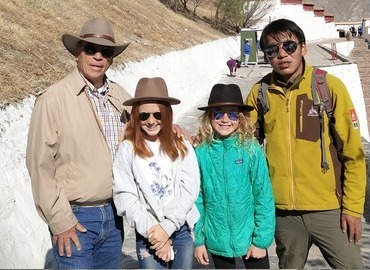 Family Tibet tour with kids is a precious opportunity for children to gain more practical knowledge about Tibetan religions, customs, landscape features, wild animals, and climate. There are lots of attractions in Tibet for travelers, such as the Potala Palace, Jokhang Temple, Barkhor Bazaar, Namtso Lake, etc. You can enjoy the busy life in Lhasa city, walk around the countryside, and have an Everest Camp Trek. What’s more, it’s a good chance for kids to communicate with local people and experience the local life. Families should have Tibet in their bucket list of places to visit. The place is truly a unique and culturally diverse place. Seeing its historical landmarks and learning about its culture can definitely enrich your kids understanding of the unique diversity of cultures. This tour is one of the best tour packages that you can avail of if you want to bring your family for a visit of Lhasa. It is a 6-day tour package that allows your family to deeply explore the diverse and unique culture of Lhasa, Tibet. Traveling to Tibet with kids, you need to choose a comfortable and interesting tour. This tour package with the most famous attractions in Lhasa will surely be an enriching and enlivening experience for your family. It is also the good chance to enjoy the culture of Tibetan Buddha and real Tibetan life. Is there any age limitation for children to travel in Tibet? In fact, there is no age limitation for people who travel to Tibet. Usually there's no problem if you take your kids to visit Lhasa, Shigatse, Gyanste, Tesdang, etc. But if you want to travel to Everest Base Camp at the altitude of 5100m, you are suggested not to take any kid below 3 years old due to the harsh weather, long time driving, and altitude sickness. To be doubly sure, please consult your doctor before going to Tibet. What family-friendly activities can we engage in Tibet? Instead of doing the typical outdoor activities, you can immerse your family into other less activities like learning Buddhism culture, having a day spent with a Tibetan family, letting your kids associate with Tibetan kids, experiencing Tangka artwork via a workshop, and having a simple night out with your kids along the Lake Namtso. 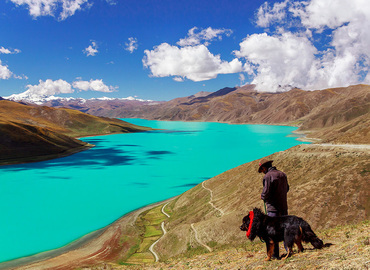 If your family are fond of outdoor activities, there're many hiking trails around Lhasa and other parts of Tibet. But the level of difficulties of these trails are far more demanding for little kids, and unless your family really likes outdoor activities, these activities may not be the best for your kids. Are there any family suites in Lhasa or around the area? Yes, in Lhasa, there are many family suites in hotels like 5-star Shangri-La or St. Regis, 4-star Shambala Hotel, and 3-star House of Shambala. If you have two kids, We suggest you stay overnight at House of Shambala, which is a good Tibetan style hotel and a suite with 3 beds. In Shigatse and other remote areas, it’s a little bit hard to find a family suite. You can choose an adjoining room connected by a door. From April to Mid June and from September to late October are the best time for taking kids to visit Tibet. The sky is very clear and the weather is warm to stay in Tibet. Also, if you just want to travel in Lhasa or nearby area, winter(from Nov to Jan) is also a good season to visit. As Lhasa is called “The City of Sunlight”, you will feel warm in the daytime. In July and August, Tibet will enter the rainy season, but most of the time it rains at night. What destinations should I choose for my family tour of Tibet? If you want to immerse your children into something amusingly historical and mysterious, Tibet should be foremost in your list. Lhasa, Shigatse, Tsedang, and the other cities of Tibet are culturally and historically unique, and these cities are surely worth spending a family vacation. Lhasa, for example, with its unique religious and cultural heritage，which is worth learning and experiencing. But Tibet is not solely Lhasa. There are also other awesome destinations in Tibet like those of the Everest Base Camp, Yamdrok Lake, Shigatse, Gyantse and other great sites that would surely be tantalizing prospects for your family vacation.